Advance Polls – April 9 – April 13, 2019.
weekdays from 8:15 a.m. to 8:00 p.m.
weekends from 10:00 a.m. to 4:00 p.m.
Research all the candidates and their point of view. Choose the candidate whose platform best suits your own. Find the polling station in your area. Get out on election day and VOTE! 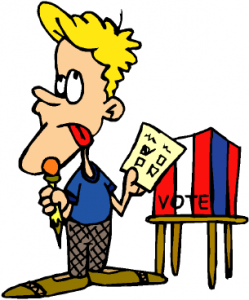 If you are unable to vote on election day then find the date/time/location of the advance polling stations in your area.